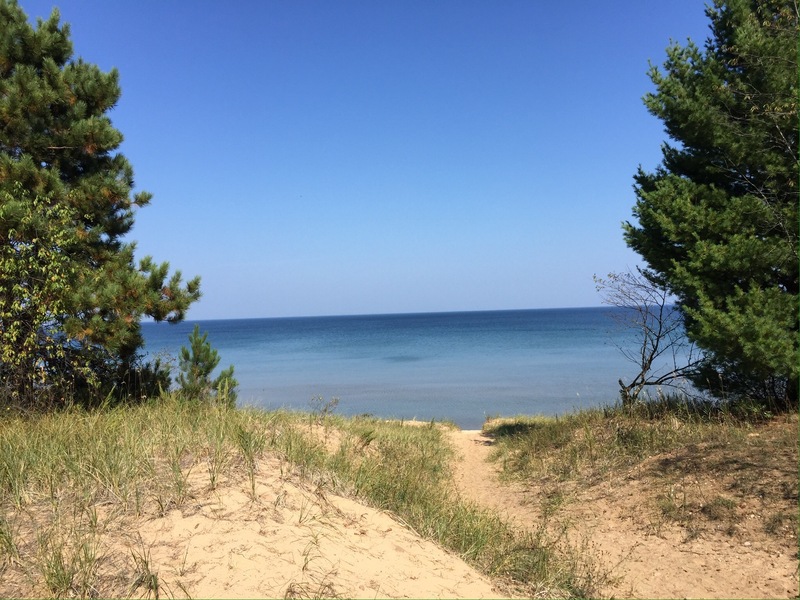 There is just something about Leelanau County that keeps drawing us back. 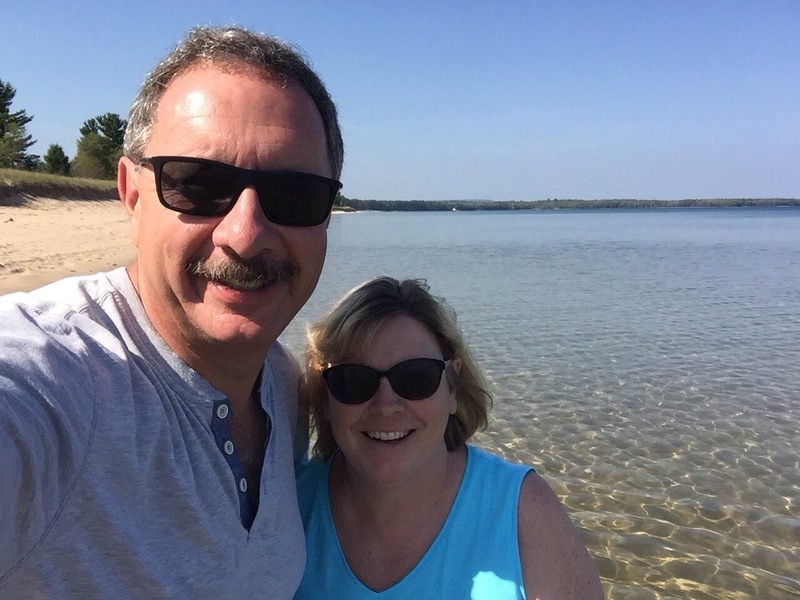 Since we were coming back to Michigan for annual doctor appointments, we knew we would definitely want to make time for our beloved finger of land on northern Lake Michigan. 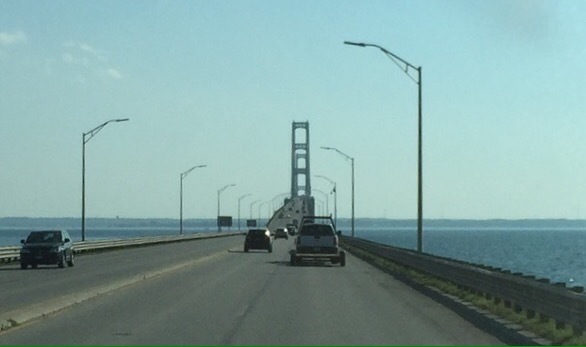 On September 24, we headed across the Mackinac Bridge, completing our quick trip across the Upper Peninsula. 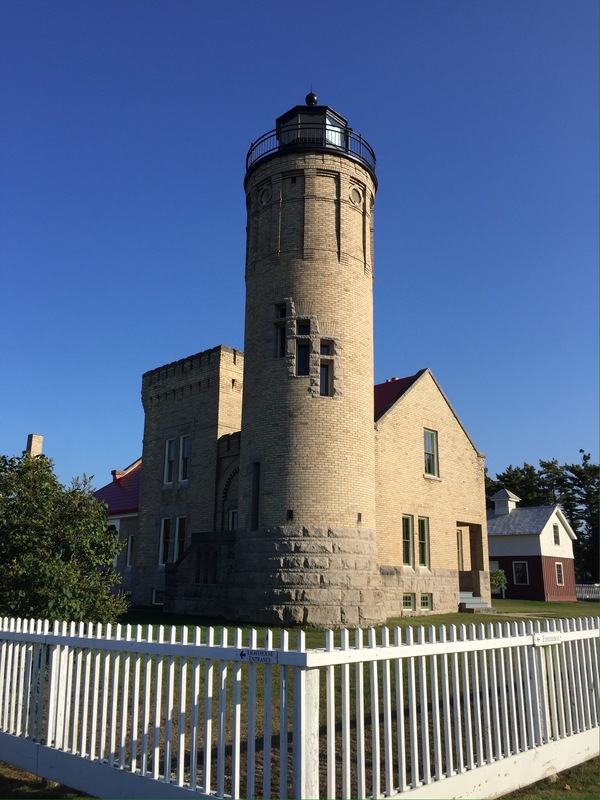 We stopped by Old Mackinac Point Lighthouse to see how it was doing. You may recall that my great-grandfather was the general contractor on the lighthouse and barn way back in 1892. I worked with Mackinac State Historic Parks for several years to get to light station reopened as a museum. It’s great to see that the buildings are in fine shape. The next day, we headed toward Leelenau. 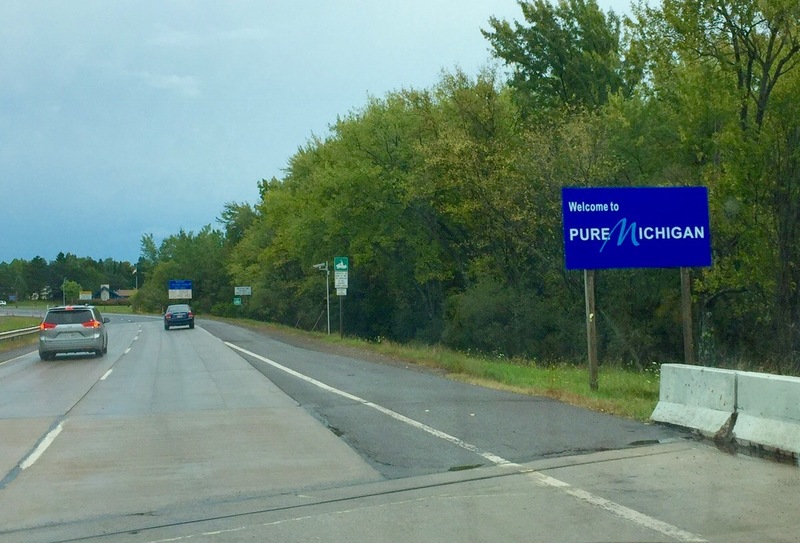 When we drove through the intersection of Grandview and Division in Traverse City, we essentially completed our circle of the country we began last October 1st. It was pretty overwhelming to reflect on the amazing experiences we’d had over that time period. It was also exciting to see what was new on the peninsula. 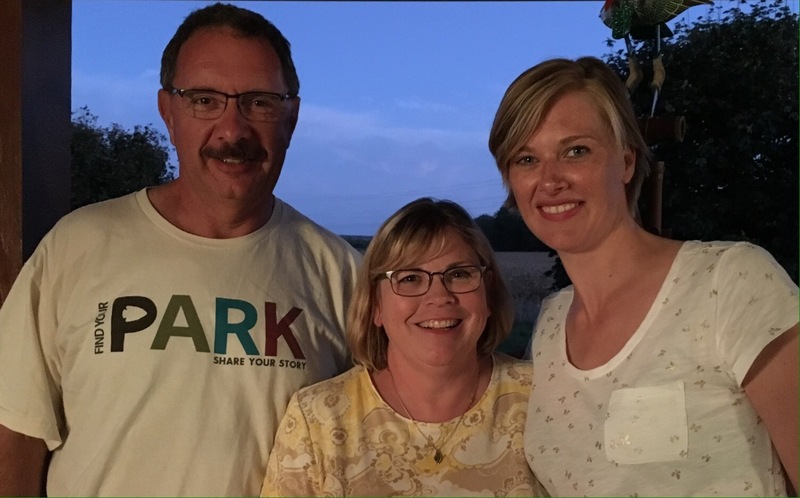 Our friends Rod and Mary had built a beautiful cottage just up the road from Wild Cherry Resort, so they invited us to use their RV pad. They worked their tails off over the summer and have ended up with a dandy little slice of paradise! We really appreciated being able to stay on their property. We had piled up a ‘to-do’ list of items that needed attention on the rig, so I picked away at most of them. It was there that our refrigerator door fell off, so that assumed the top item on my list. 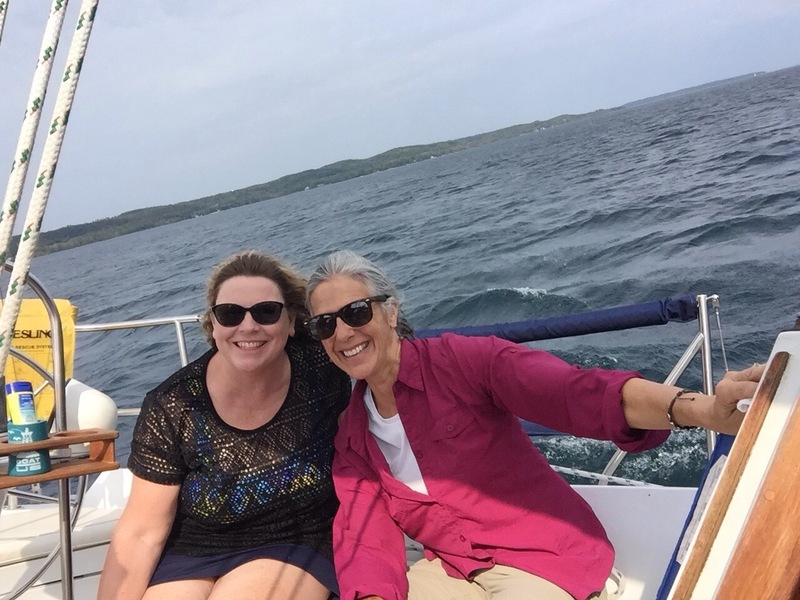 Rod also took us out sailing on Suttons Bay. 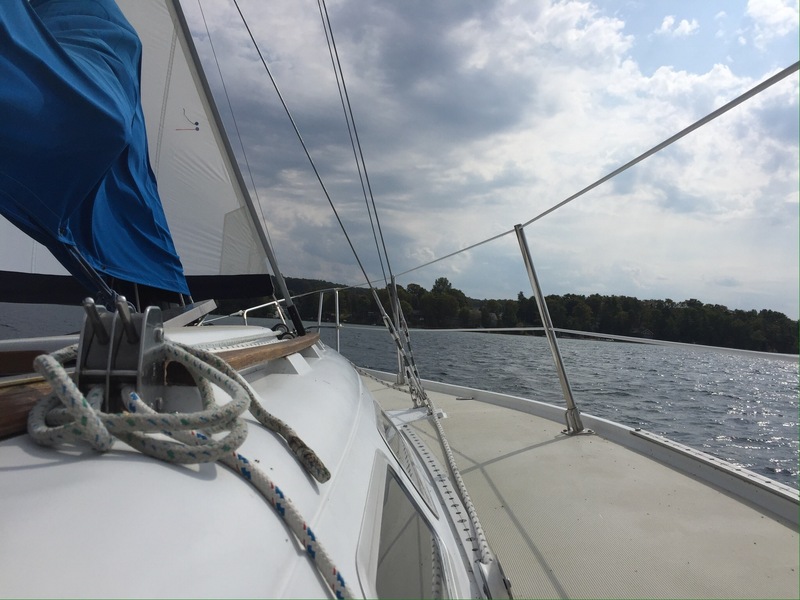 The breeze was stiff enough to allow us to sail with only the jib. Mary and Diana were enjoying the wild ride! 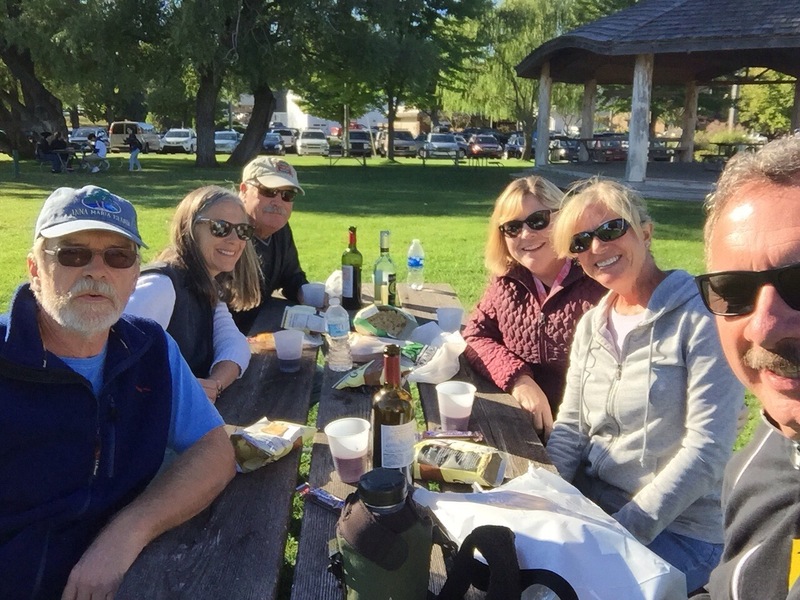 On Saturday, September 30, we went to Leelanau UnCaged with Lane, Patti, Rod and Mary. The event was a street fair in Northport which morphed into a park party with three bottles of wine and snacks from the town grocer. 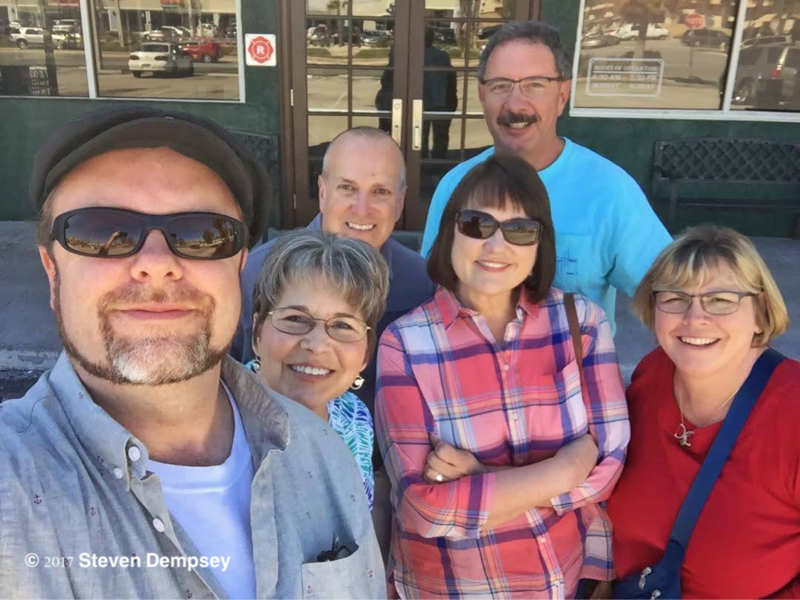 😉 The six of us previously had gotten together for dinner at our place a couple of days before and also got together later in the week when Lane and Patti had us over to their place for dinner. It’s always a great time when we are together! Later in the week, we went over to John and Julie’s new place on the southern end of the county. John was one of my college suite mates and a fellow Zamboni driver. He and Julie just built a really cool place that features beams and planks from a huge pine tree that grew where the house now sits. After we hung out there for a bit, we headed to the village of Cedar for dinner. Man, it’s great to be able to catch up with these two! On Tuesday, Diana and Mary headed to Grand Rapids to do some shopping and to check out Meijer Gardens and some of the Artprize entries there. 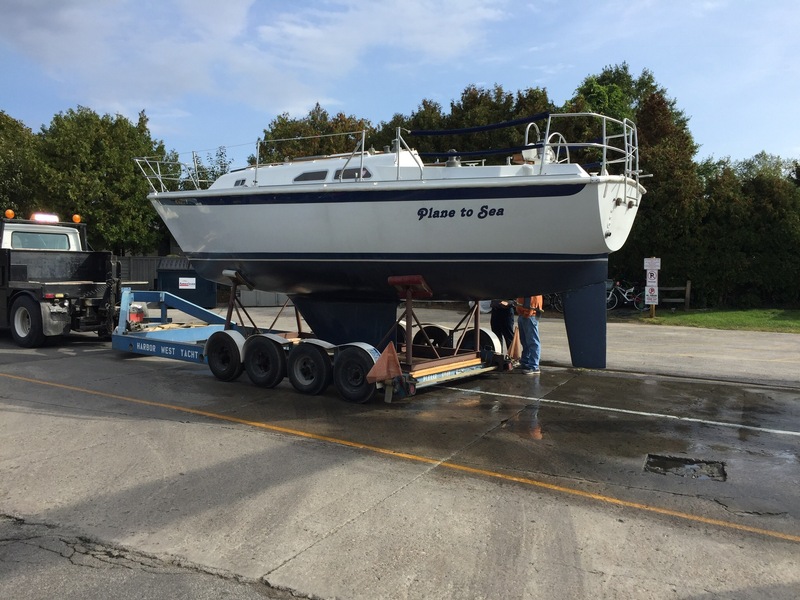 I rode along with Rod to Traverse City where he was having his boat stored for the winter. It was neat to see the process of pulling the vessel out of the water. 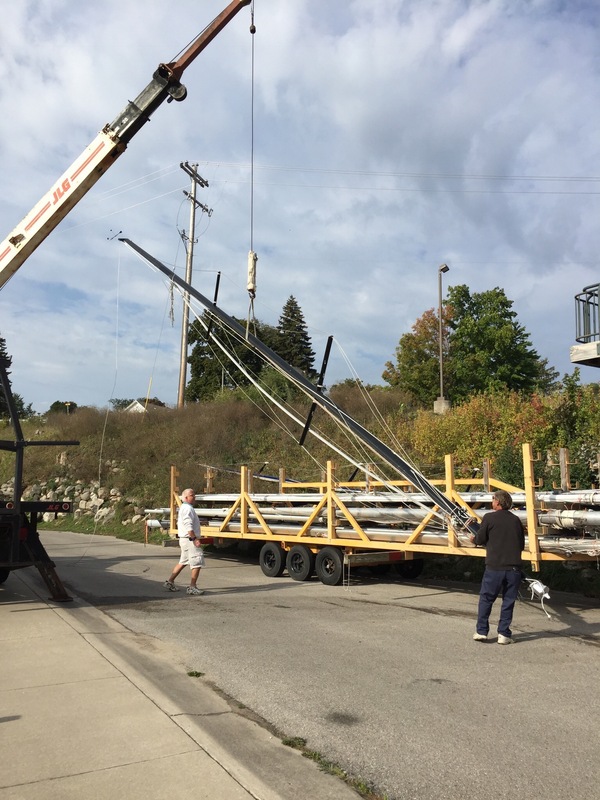 First thing they did was lift the mast from the boat, secure the rigging and then store it on a trailer with a multitude of other masts. 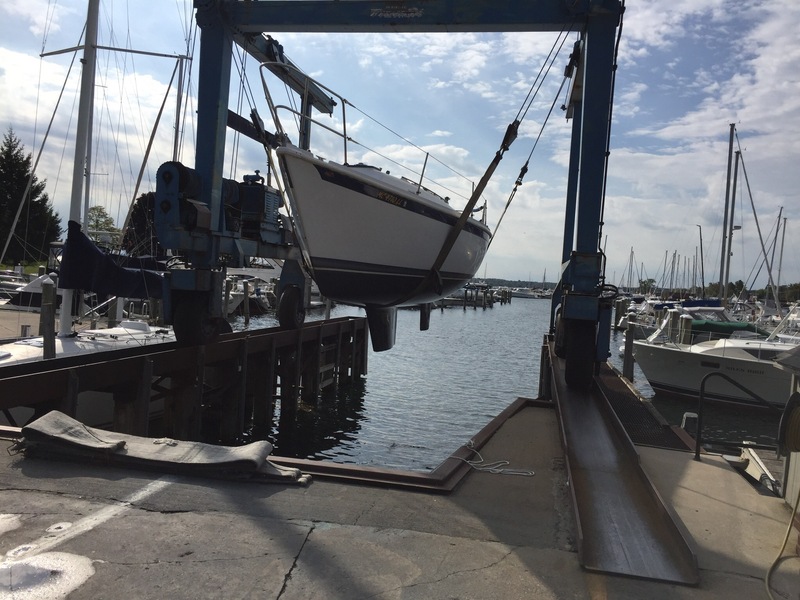 Then they had Rod pull the cruiser into slip and over the slings. It sure was great to get back to Leelanau for a few weeks and see everyone! From here we head down to Grand Rapids for our doctor’s appointments and to see more friends and family. Stay tuned to see what we come up with during our time there! Click here to search our exploRVistas Amazon link for just about anything imaginable! One thing we had noticed as we headed east across the country; the campgrounds were expensive for what we were getting. This fact was especially true in Idaho, Montana, Wyoming and North Dakota…with prices over $40 a night in almost every instance. That price is fine if we are looking at a beautiful view…but more often than not, we were next to a set of train tracks in a gravel lot. 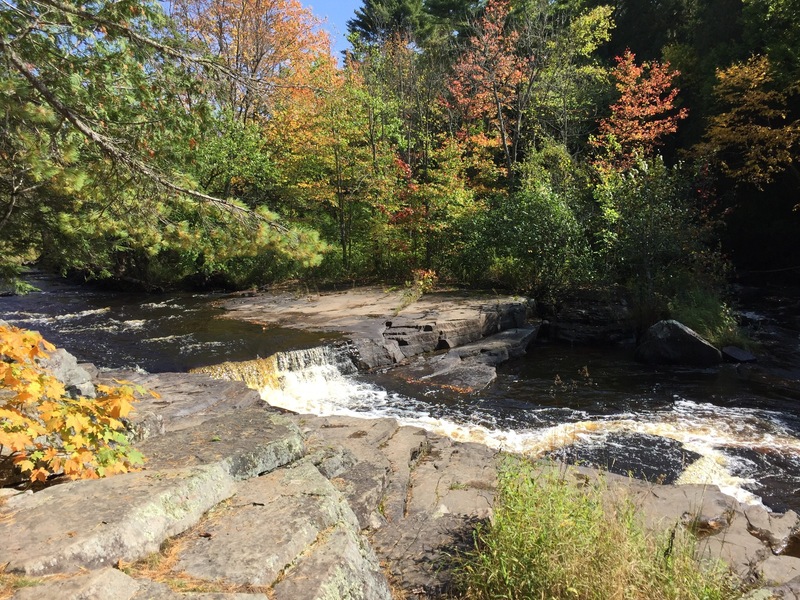 Well, when we arrived in the U.P., we found a sweet little overnight spot with a price that was tough to beat. 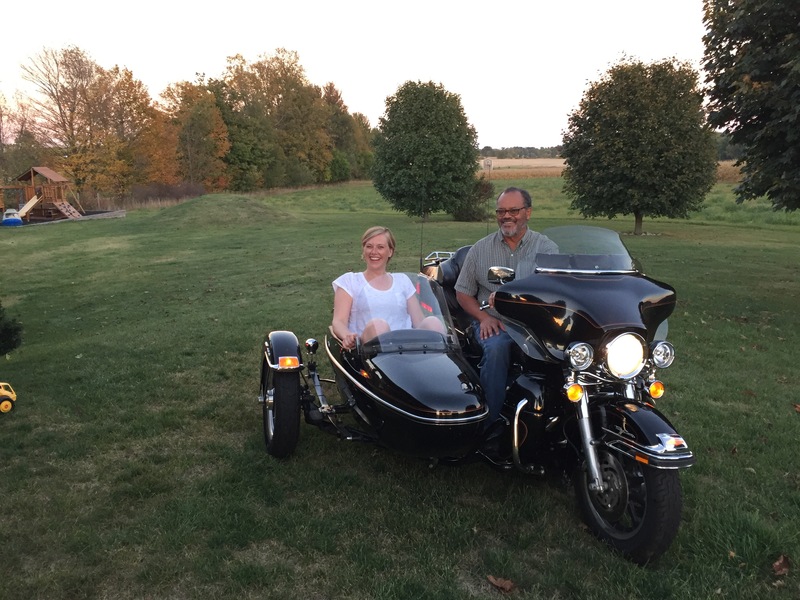 In the bustling town of Bruce Crossing, we pulled into Stannard Township RV Park. Twelve pull through, first come – first served sites, 50 amp electric, water, dump station, restroom and shower house for $10 a night. Now that’s more like it! Though it is located on US-45, the highway is lightly traveled in that area…and the railroad had been turned into a trail. Bruce Crossing has a couple of bars, a cafe, store, gas station, and is located close to several nice waterfalls. 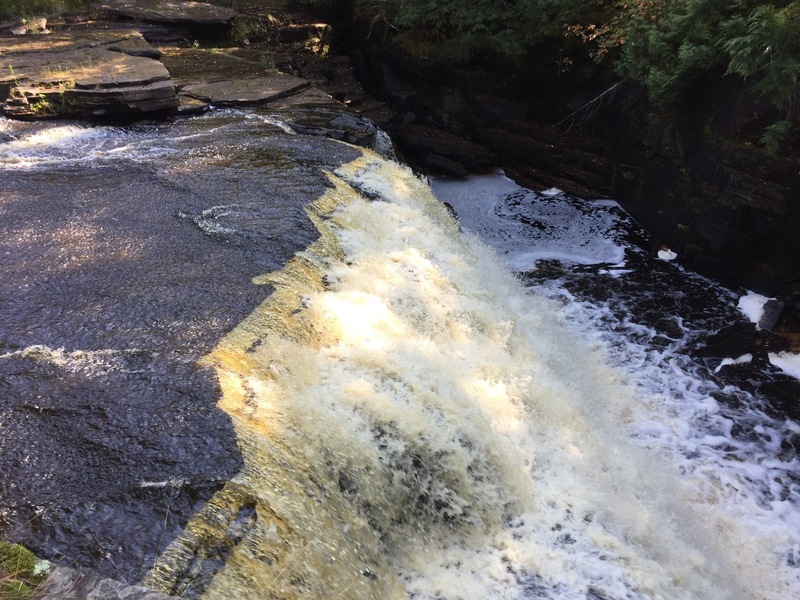 We were through the area back in 2015 when we visited Bond Falls on our 33rd anniversary. 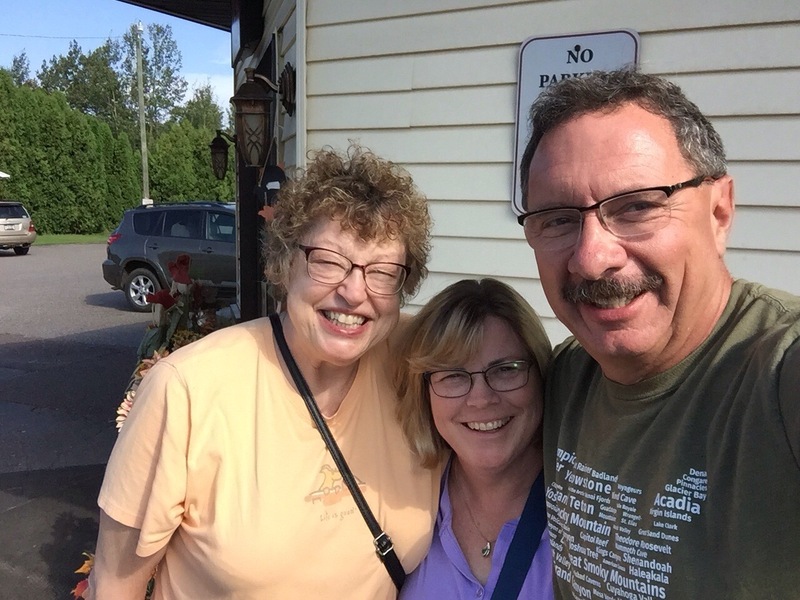 The next day, we headed northeast to the town of L’Anse (pronounced LAHHnse) to meet up with our forever friend, Debbie! 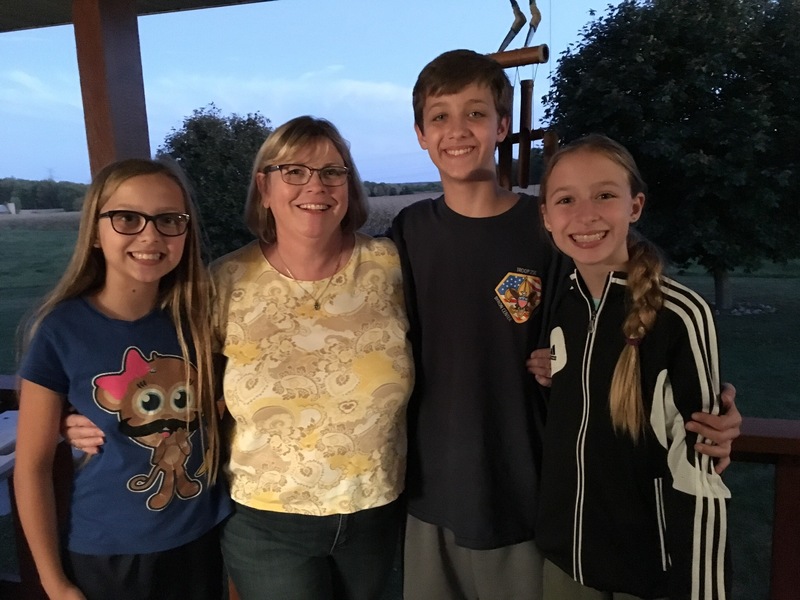 Diana and Debbie were Girl Scouts together in Ortonville when they were growing up. They know all the songs they learned back then and will gladly sing a duet, if asked! 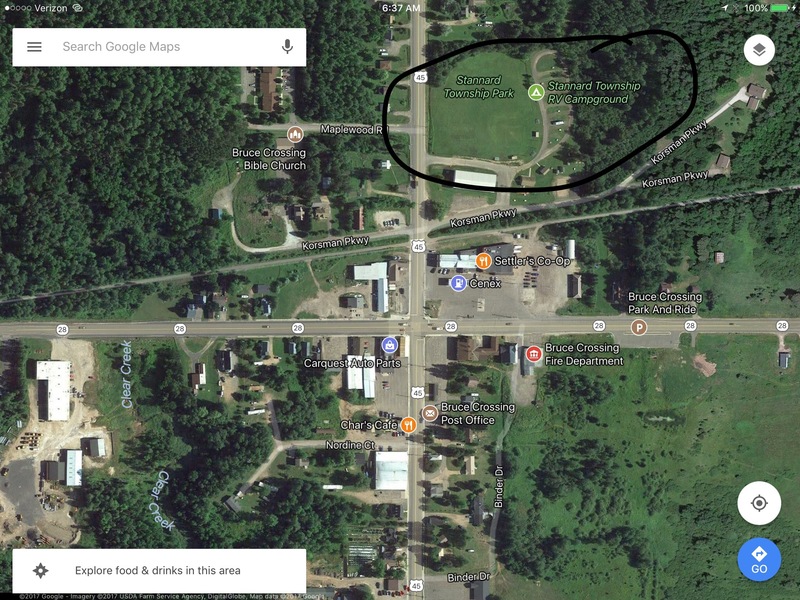 Debbie lives in Houghton now, halfway up the Keewenaw Peninsula. We met for breakfast, which she insisted on picking up the tab. Thanks, Debbie! From there, we headed down to Canyon Falls. This is one place we had not seen yet, so we pulled in to check it out. It doubles as a roadside rest area, so there was plenty of room for the RV. 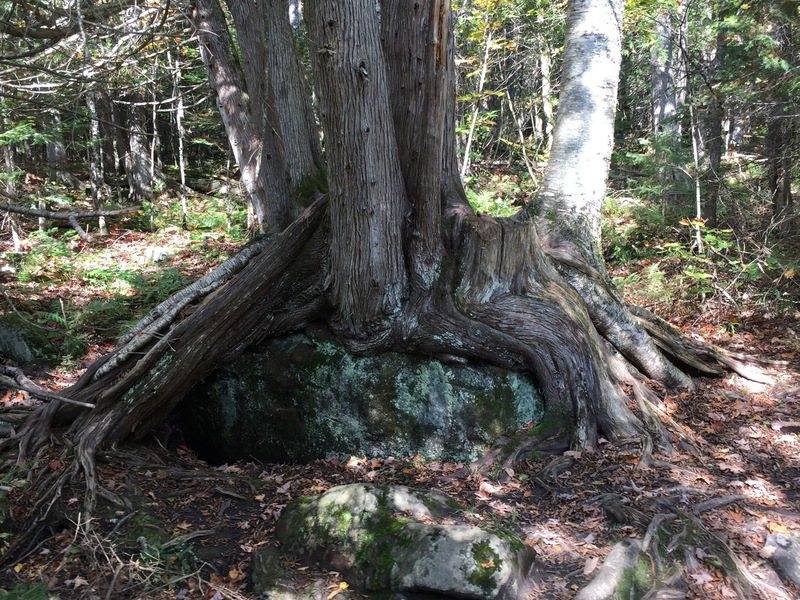 Along the 1/4 mile trail to the falls, we saw this interesting clump of trees growing over this boulder. There was a little bit of fall color starting to show along the way. The largest falls were difficult to view, as there wasn’t a trail to see them from the front…only from above. Still, they were very pretty! After returning to our vehicles, we made the choice to head back into L’Ance to check out a campground a little northwest of there. 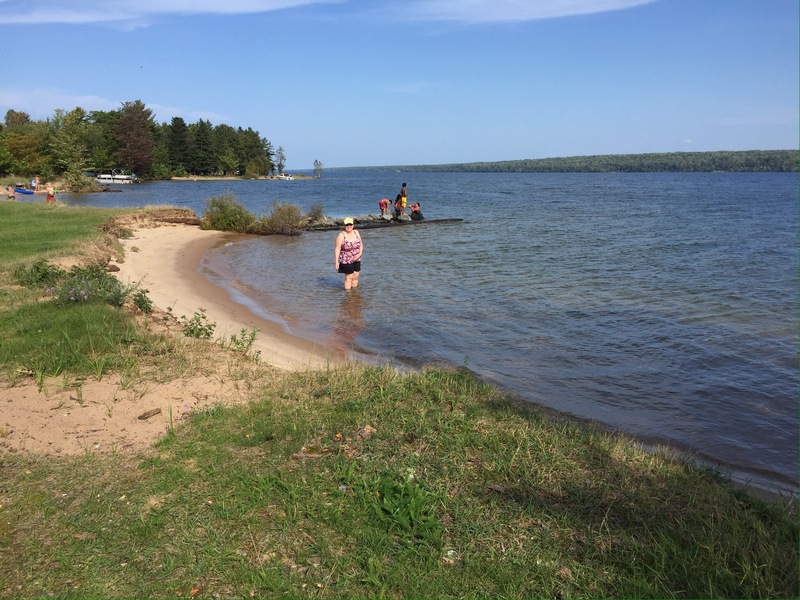 Our original plan was to drive 96 miles to Munising, but the day was so unseasonably warm, we wanted to go swimming in Lake Superior. If there is ever a time to swim in this frigid body of water, late summer or early autumn would be it! 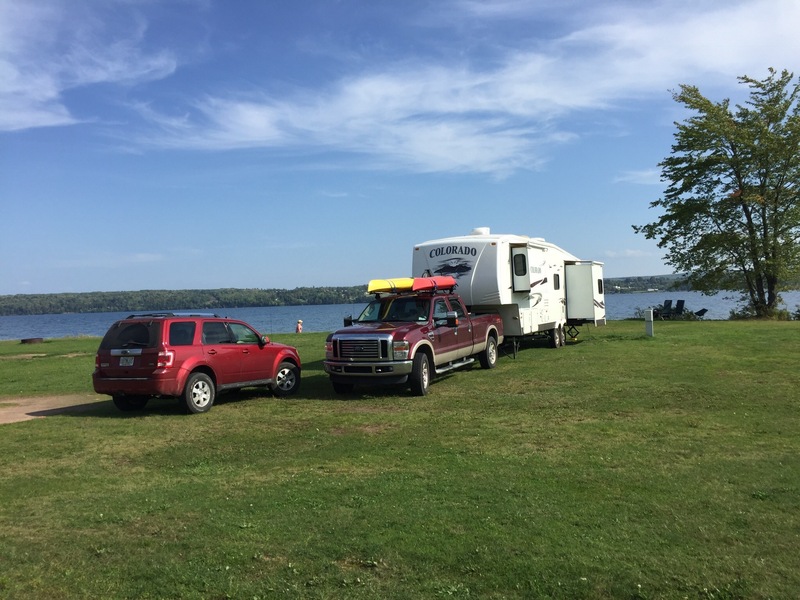 We scored a ginormous site at Ojibwa Recreation Area. This site had 50 amp electric, but we needed to obtain water at the dump station. This little slice of paradise cost us $19 a night and included our own personal sandy beach on L’Anse Bay. 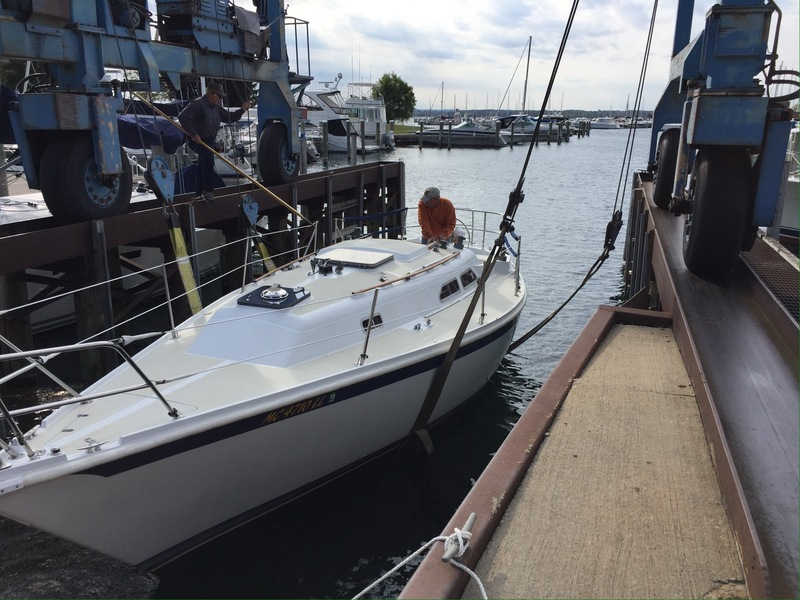 On Sunday, we made the decision to head directly to Mackinaw City, a trip of about 240 miles. That’s about the upper limit we like to drive in a day, especially considering the route was mostly two lane roads. Just west of Munising, we pulled into a roadside turnout to stretch our legs. This is the view from our parking spot. There were several NO CAMPING signs, for good reason! 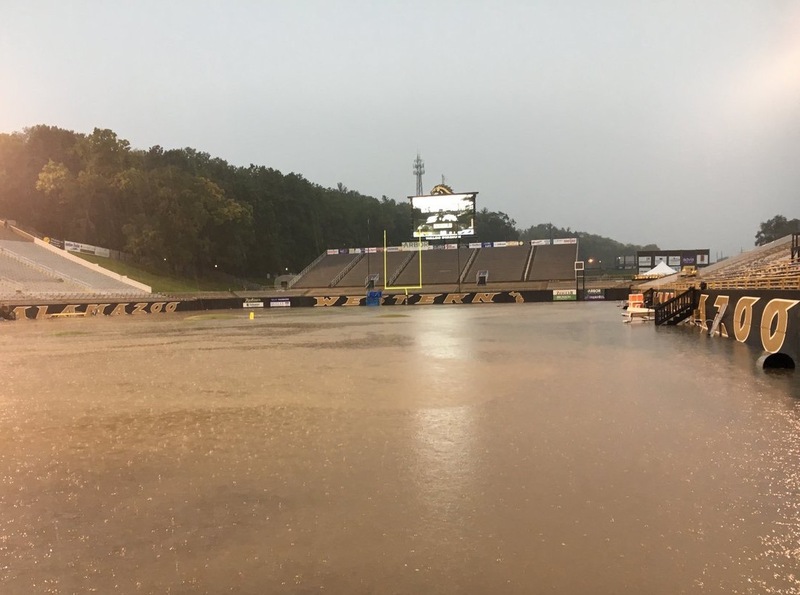 We rolled up our shorts and waded out as deep as we could. Boy, did that feel good! Next up: we cross the Mighty Mackinac Bridge and head towards Leelanau for a visit with friends. Be sure to stay tuned! Click here to listen to Michigan and Again by The Accidentals, free with your Amazon Prime membership. Find anything else imaginable through our exploRVistas Amazon link by searching from that same page! If there is one constant in a fulltime RVer’s life, it has to be the D on the transmission indicator on our dashboards as we head out in the morning. The only time we put it in R to back up seems to be when we are parking our rigs at the end of the day. 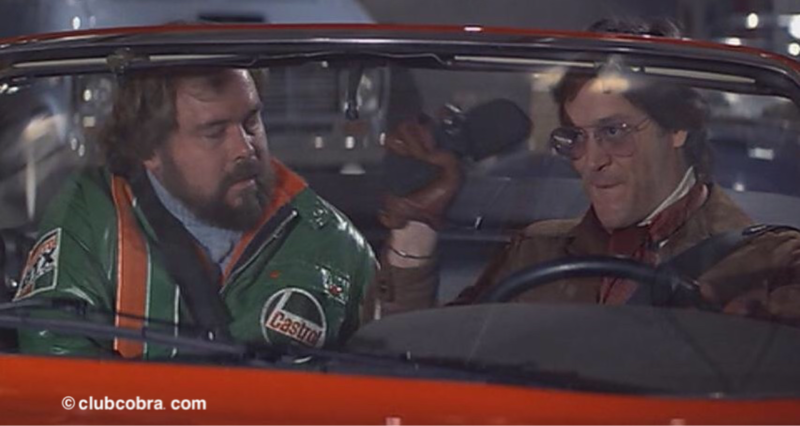 A scene from the movie Gumball Rally pops into my head where an Italian race car driver named Franco looks at the guy in the passenger seat and says “First rule of Italian driving…” as he reaches up and snaps off the rear view mirror and tosses it out of the car “…what’s behind you isn’t important”. And while Diana and I like to examine the history of the locations we visit, there is still that forward movement of wondering what’s over the next hill or around the next bend. Shift to D, turn on the radio and step on the gas. It’s right about that time when life taps you on the shoulder and reminds you that Franco’s statement couldn’t be further from the truth. Part of our preparations to leave Florida and head west have been to take care of authenticating our mortality, so to speak. In other words, preparing wills and similar paperwork. Our home base is the Sunshine State, so this is the place to take care of that business. Traipsing our caravan across the country in two separate vehicles places a greater need for such documentation, especially when one of us has 14,000 pounds following in close proximity. Snapping that rear view mirror off would be ill-advised! So we plowed through the perpetual paperwork (pardon the pun), moving forward with our feet on the gas…just wanting to get it completed. On St. Patrick’s Day, we had a noon appointment to sign our wills and have them witnessed and notarized, so we went about our morning routine in preparation for the meeting. That’s when I sat down in my recliner and checked my phone. There was a text from my former coworker Barb that read, quite simply “Hey. 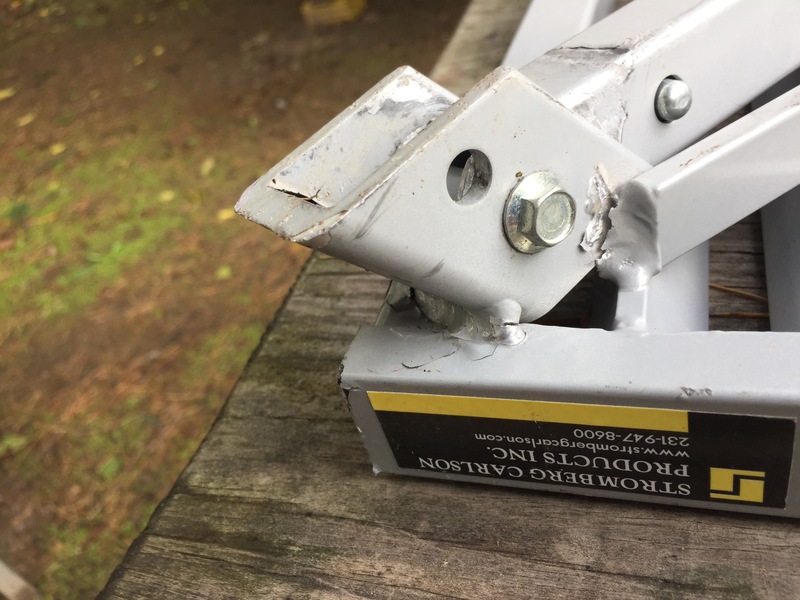 Just wanted to make sure you heard about Richie.” Well, considering Richie was one of the two people I kept in somewhat regular touch with from work (Kenny being the other) and it wasn’t him telling me what happened to himself, I knew this wasn’t going to be good. So I casually replied “No, what’s up?”, hoping to hear he won the lottery or something. It was not to be. A flurry of texts came in from Jeff, Stephen and Barb to tell me he had passed. From what has been told to me since, he had kissed his beloved wife Connie goodnight, took a few steps towards the bedroom and collapsed from a massive heart attack. 62 years old, planning on retiring and looking forward to having more time for golf. Now don’t get me wrong…Dickey-boy had a lot of fun in his life. In addition to golf, he loved NFL football and his Detroit Lions, along with classic rock music. He knew several people in the music industry, played a little guitar, and was close friends with the members of Foghat. 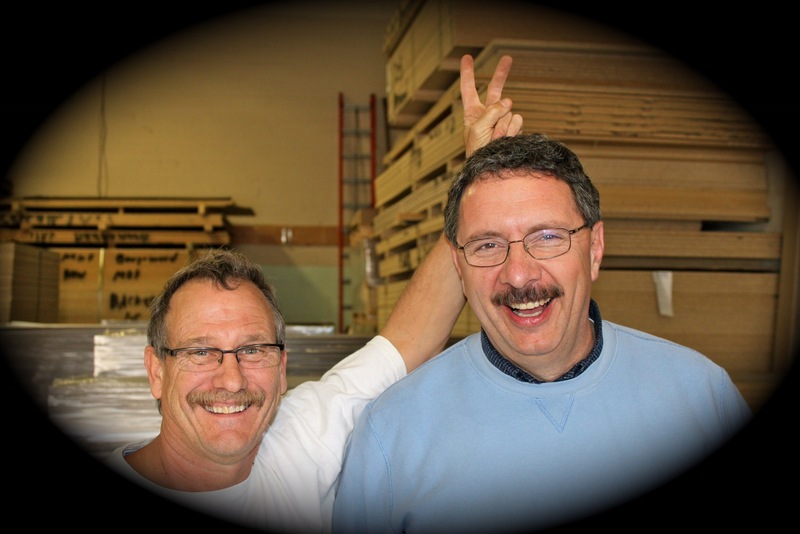 Our VP, Joel, took this tongue-in-cheek photo of us, poking a little fun of the long-standing brothership we shared. I proudly own that, as we worked side by side for 30 years and had each other’s backs. He thought the world of Diana, and we indeed are both going to miss him. The irony of finding out as we were about to sign our wills wasn’t lost on us, nor was the fact that the beach bar we toasted him at was playing classic rock instead of the usual trop-rock. Suddenly, I noticed I had eased off the gas and had slipped the shifter to N. Instead of thinking about our upcoming trip, I found myself pondering the past. 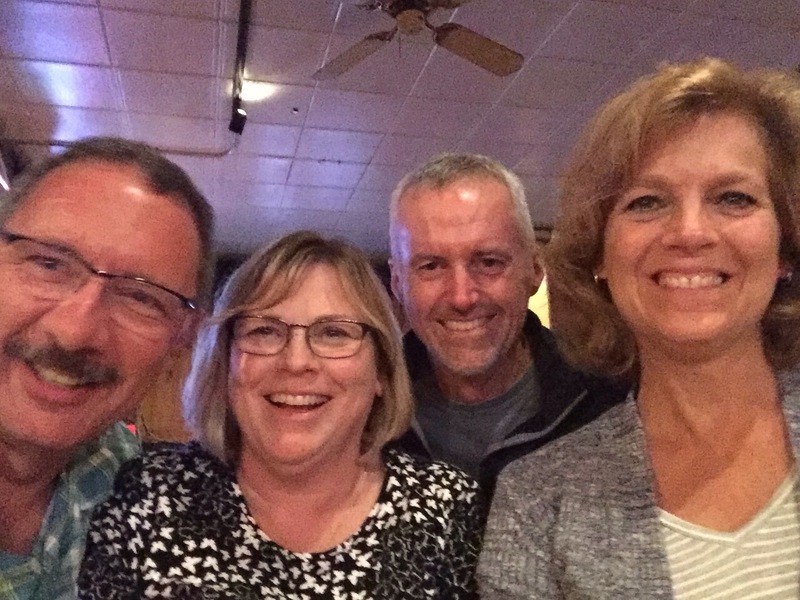 We were fortunate enough to meet up for dinner with Bob and Pat from Michigan Traveler, and Bonnie and Fred from HappiLEE RVing this last weekend. Bob and I both grew up in Allen Park, Michigan, and we spent a week together at Wild Cherry, so we have a lot of past in common. Fred and Bonnie and us met at the RV-Dreams Rally and we’ve seen each a couple times other since, so we have a fair amount of history. 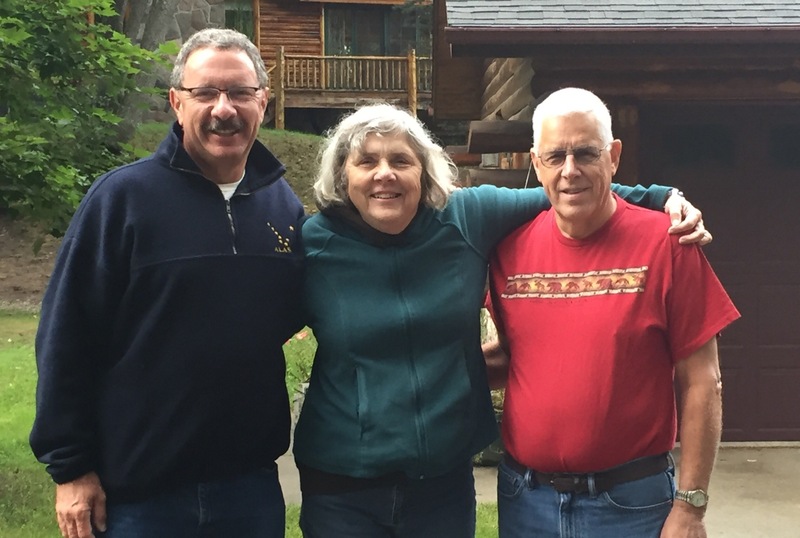 Bob and Fred are both retired military, and the couples spend a fair amount of time at the US military FamCamps, so we thought it would be fun for them to meet. Just after that, we had some business we needed to take care of up in Green Cove Springs. We saw that Linda and Steven, our friends we met at Amazon, were very close by. 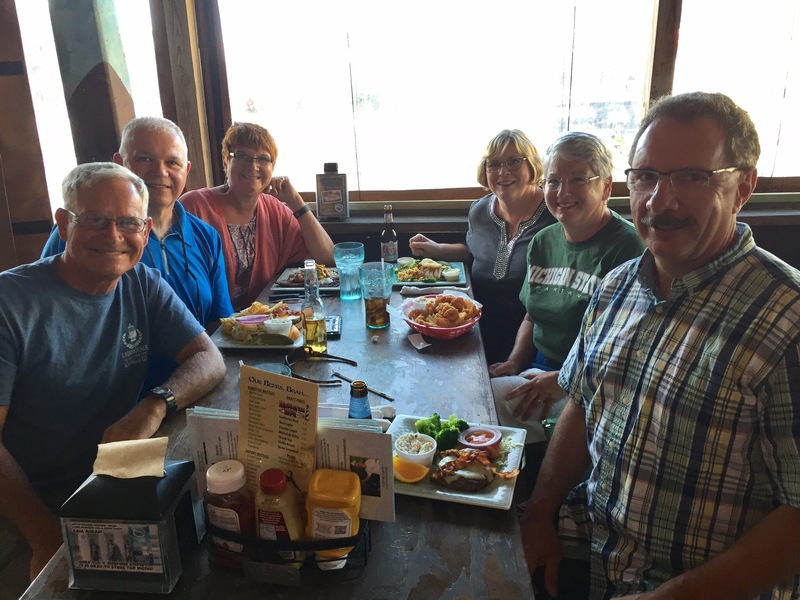 We contacted them, and they invited us to join in on a lunch date in Jacksonville they had with Howard and Linda, founders of RV-Dreams. 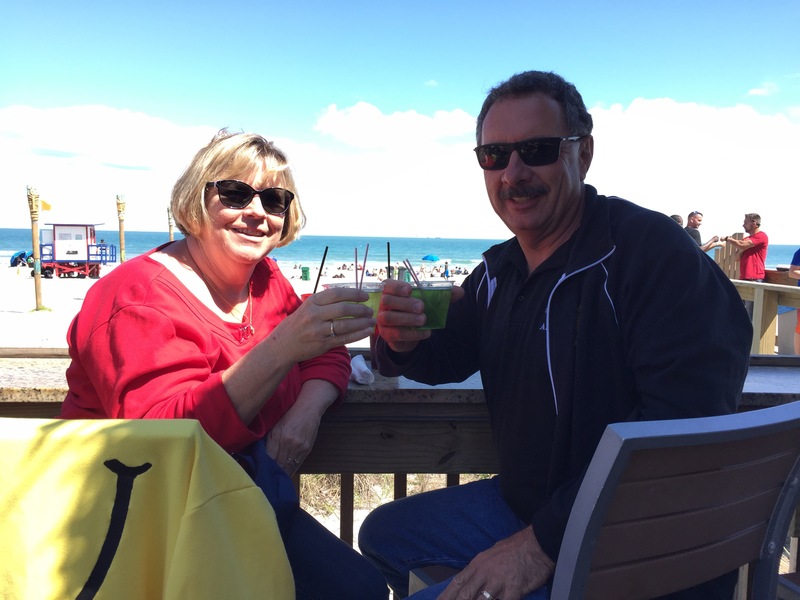 It was those two who’s seminars at a Grand Rapids RV show in January of 2014 provided the final nudge to get us on the road. With no firm plans to leave our jobs at that point, their presentations caused us to go home and crunch some numbers. By March 21 of that year, I was retired, and Diana was done at work by July 1. Our lunch turned into a wonderful two hour conversation on what this journey we are on means to all of us. Not only was the future discussed, but the past was reflected upon. I detected a few misty eyes on a couple of heartfelt points that were made. We were so engrossed in what everyone was saying, we didn’t notice that the servers had turned up all the chairs at the surrounding tables and the restaurant had closed over a half hour earlier. Yeah, it was that good. What finally caught our attention was the silence during a pause in the dialogue. The music had stopped playing. Oops…time to head down the road! 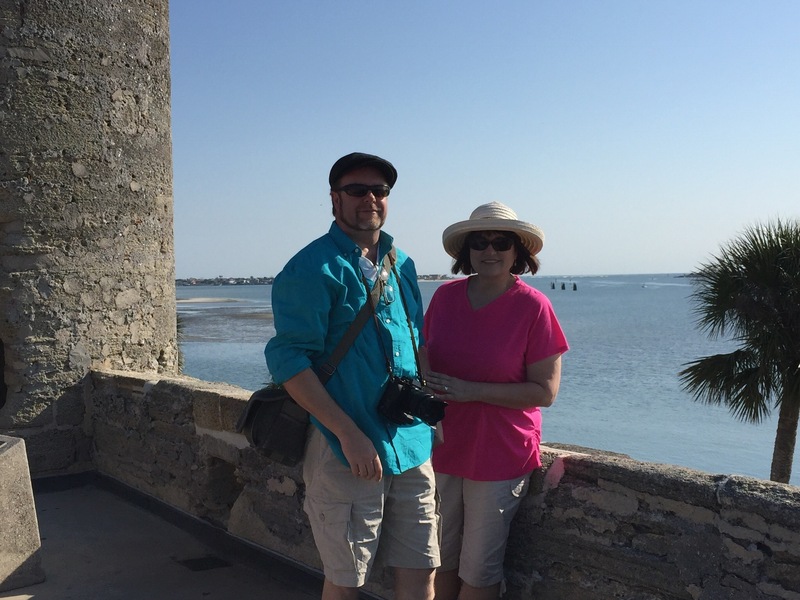 We spent the night in St Augustine and toured there with Steven and Linda the next day. They had not been there before, and they wanted to see Castillo de San Marcos, among other things. 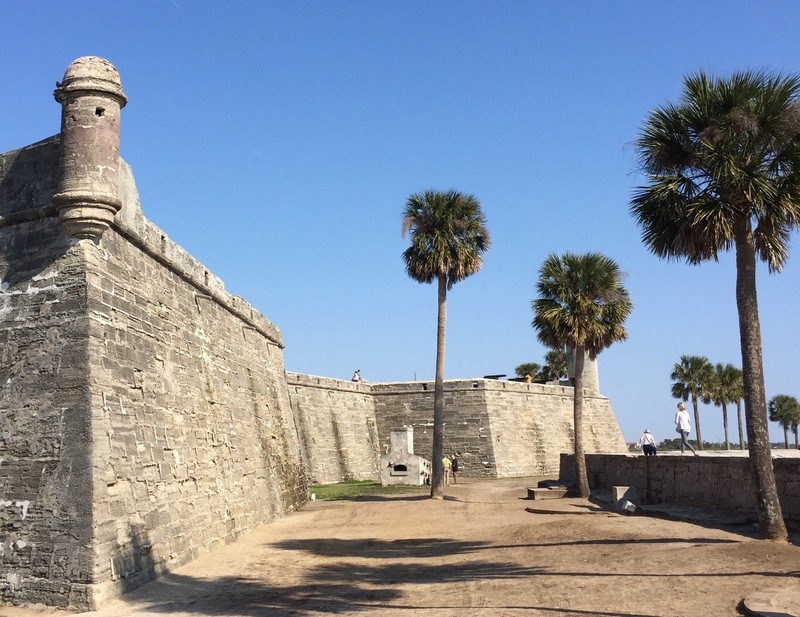 It was fun to experience St Augustine with them and look forward to all the plans we have for the future! I called Kenny last night. 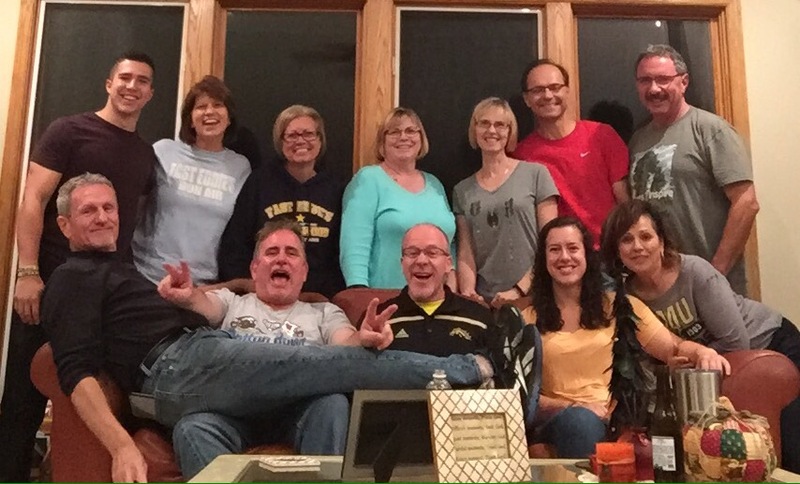 We reminisced and had some laughs, along with sharing what we are currently doing in our lives. It was really good to hear his voice again. 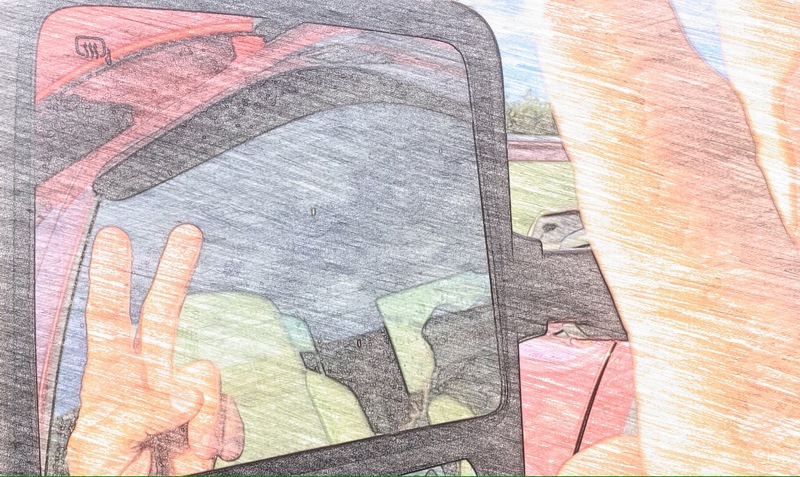 So while everyone I’ve interacted with over the past week are ready to shift into D to see what’s around the next bend in their lives, life itself provided us with a bit of a lesson that we ought not forget the images in the rear view mirror. Search and shop exploRVistas Amazon link here.